Public Goods (previously known as Morgans) is a membership service through which you can buy healthy essential personal care products at cost. All of their products are cruelty-free, sulfate-free, paraben-free, and most are also vegan-friendly made in the USA. COUPON: Try membership FREE for one month and get access to prices at cost! No coupon required, just use this link. I was drawn to Public Goods initially because of the design of their products. My bathroom is definitely on the cluttered side and I love how simple their minimal black and white design is by contrast; it would look great in any bathroom, but especially in our new vintage-inspired black and white remodel. I love the simple “it’s all good” branding on these, too. This shampoo is simple but nice. It reminds me of a high-end hotel shampoo, which sounds like a criticism, but I actually LOVE that stuff. It has a very pleasant citrusy, herbal-y scent that doesn’t linger after rinsing. It lathered well and made my fine hair feel nice and clean. The matching conditioner has a similar pleasant and clean citrus scent. It wasn’t the most moisturizing formula I’ve ever tried, but my hair felt soft and clean. I have fine hair, and I can say that it didn’t leave my hair feeling weighed down or too dry either– it was a happy medium. This is a small detail, but since the shampoo and conditioner bottles look so similar, I really appreciated that this bottle has a pump-style top. That made it so much easier to tell the difference between in the shower. This is an unscented lotion, and it works great as a general purpose body lotion. It’s not greasy and absorbs into the skin quickly. It’s definitely been helpful to keep on hand for dry hands and elbows during the cold weather we’re still getting here in the northeast! If you’ve read some of my past reviews, you may know that my skin is a bit sensitive and doesn’t always handle new facial moisturizers well, especially those with fragrance or essential oil ingredients. I have started just patch testing things in the last few months because I’m just not sure how I’ll react. I wasn’t sure about this at first because it does have a bit of fragrance to it: this one has a sort of sea-breeze “fresh” smell rather than the citrusy scent of the other Public Goods products. But, I’m super pleased that this facial moisturizer is gentle on my skin, and has actually helped calm some redness that another product had caused. If they made a version of this with SPF, I’d consider it for my daily routine. It’s lightweight and the fragrance doesn’t stick around. At this point it makes sense to note that all of these products so far are pretty unisex; the fragrances are pleasant and light enough for anyone to use them. Shaving cream is a total luxury for me; I rarely buy it. This one is pleasantly peppermint, but it’s not so strong that it makes your skin tingle. It had a great consistency and a little really went a long way when shaving my legs in the shower! This one is solid and nicely made of wood with metal accents. The set worked great together, and I thought these blades worked really well. The only downside to the beautiful wooden handle is that it is super smooth, and so it’s a bit slippery to work within the shower once you’ve applied the shaving cream. I never expect bar soap to impress me, but I’ve been making a conscious effort to create less plastic trash this year, so I’ve been trying more bar soaps than body washes lately. This coconut oil and glycerin based soap leaves me feeling clean without an overpowering smell, and doesn’t dry my skin out. I was skeptical of the first ingredient being palm oil since it has been criticized for deforestation and climate destruction in tropical areas. Happily though, this bar is made with CSPO Palm Oil, which stands for Certified Sustainable Palm Oil and means the producers follow a number of guidelines designed to make the product more sustainable for the environment and habitat in which it is grown. Right off the bat, I was happy to see this deodorant does not contain aluminum. I’ve stayed away from aluminum-based antiperspirants since I was pregnant with my son, and really haven’t looked back. This is a gel-type stick that glides on smoothly and cleanly (which is a refreshing change from my Schmidt’s brand stick that seems to take 20 minutes to warm up). The natural fragrance is probably the most masculine of all of the products and reminded me a bit of that classic botanical/medicinal aftershave smell, but like all of these products, the smell does not seem to linger very long. Given that it’s winter, I haven’t really put this to the test yet because I’m not sweating much… but so far, I like the application and formula at least. This is one of the few products they offer which are not vegan, as this floss is made from natural silk. This does make it biodegradable, though, and it comes in a recyclable glass container too. This is definitely the first time I’ve ever thought about how beautiful floss packaging could be. And clear glass, so you can tell when you’re about to run out? Amazing. Packaging design aside, the floss itself worked really well for me. There is a natural peppermint flavor, and I found the floss to be a nice size and have a bit of texture that seemed to help do the job well. This is the only product in the whole box that was a real miss for me. Although I love that this comes in a two pack and is color-coded (so you can easily split this with your spouse), I just couldn’t get past the taste and texture of wood in my mouth as I brushed. I try to use eco-friendly materials and recycle and all that jazz, but I think this is one product I’ll just have to take a hard pass on. The toothpaste, though, was a winner. It’s got a pleasant natural peppermint flavor as you might expect. I found it to be effective and overall pleasant, but I want to note that like many other natural toothpastes, it does not include fluoride. Finally the cutest thing ever: the world’s tiniest lip balm. This petite stick is less than half the size of a regular-sized lip balm. I would LOVE to know the story behind this… is it because they were frustrated at all the half-used lip balms they’d find scattered around the house? That is my guess. This is a simple, unflavored balm that’s great to have on hand year-round. Even though the first ingredient is coconut oil, I found this to have less of an overt coconut flavor than other brands I’ve tried. The texture is a little grainy when being applied, but smooths as it warms up. The prices are good, too, but as with all memberships, your savings will increase the more you order in a calendar year. Public Goods membership is $59/year paid upfront, which is less than $5/month (and you can try them free for 30 days, which would give you a chance to try the products at cost before you commit). If you find yourself ordering even 2-3 products a month, the overall cost is worthwhile when I look at how much I might pay for similar products at the grocery store. They also offer toilet paper, sunscreen, and body wash and plan to add more products regularly. 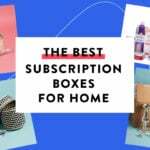 Check out related Shaving Subscription Boxes, Subscription Boxes for Men, and Subscription Boxes for Women in the Subscription Box List. What do you think of Public Goods? I live in a hot climate ( the central air conditioning is on here this evening) and a deodorant without a dryness factor ( Aluminum Chlorohydrate) is a deal- killer for me and anyone around me, likely. ;). Also, I want to point out that the introduction of Stannous Fluoride in toothpaste is why 50+ year olds do not wear dentures now ( as an overwhelming majority among healthy people) and is also why YOU won’t be wearing them in decades to come either. Please, for you and your children, use toothpaste with the recommended amount of Fluoride. It’s like a mega daily vaccine for their teeth against dental caries. Hi, I have free trial but I cannot find any way to ensure my subscription is not going to be automatically renewed, can somebody help me with that? They sounded so promising, but their Conditioner alone contains Propylene Glycol, Phenoxyethenol & Dimethicone – all toxins. These are not toxins. However, I get my information from scientific studies rather than beauty advice websites. People really need to stop propagating ideas that have no basis in science. No, it’s you who doesn’t understand this term. These are not “toxins”. I’m not sure what you think that means. As an example, propylene glycol toxicity has been reported only rarely and in unusual circumstances. For example, toxicity may result from excessively large or rapidly infused intravenous injections of propylene glycol-containing medications, excessively large or rapidly infused intravenous injections of propylene glycol-containing medications (Louis, Kutt et al. 1967; Seay, Graves et al. 1997; Yorgin, Theodorou et al. 1997; Wilson, Reardon et al. 2000), or prolonged dermal contact during treatment of burns. If you’re not injecting huge amounts of this stuff into your body (which you wouldn’t be; a doctor would be), it is NOT toxic. Phenoxyethenol & Dimethicone are both also considered to be not harmful (unless, you know, you eat it or otherwise misuse it). Very thorough review. Thanks for all the great info. Might have to try them out. Great review! I like the concept behind these products and appreciate the extra information you provided about their ingredients. Thank you! TLDR: Outstanding products, great service, unbelievable price!! I’ve subscribed to PG, formerly Morgan’s, for nearly a year. I cannot say enough good things about the products or the company! 1. First off, they use only healthy, safe, eco-friendly ingredients. That is a #1 requirement for me. Also, I am extraordinarily allergic to a huge list of ingredients; I cannot use hardly anything that has a scent in it. Thankfully PG’s products avoid those. Any scents are minimal (except in the toothpaste), and they seem to come from the basic working ingredients, not from any artificial scents. 2. The products are EXCELLENT. I have long, chemically-treated hair (down to my waist), and have had outstanding results with the shampoo and conditioner. They stand up against all of the luxury brands I have tried. My hair is poker straight – and their products don’t weigh it down. I’ve used the shampoo and conditioner consistently for nearly a year with great success. The soap is also excellent and non-drying, and the moisturizer and lotion do a great job without making me feel greasy or oily in any way. They sink into my skin readily and do their job well. The razors and blades are top quality. I had long been a Harry’s subscriber, but I like these better. (Sorry Harry!) I’ve also tried PG’s lip balm, shave cream, and deodorant – all of which I also love. And I am excited to see they now came out with dental floss. I can’t wait to try that. I the only thing I haven’t tried are their toothbrushes because I use a Braun. 3. I hate packaging waste, and PG does a great job of minimizing it. 4. I really, really dislike the “choice paralysis” I face when shopping at most stores – at times it’s downright ridiculous the number of choices that need to be made when shopping for a simple product. PG puts out one GREAT product in each category. I actually love the simplicity of choice (as well as the tasteful aesthetics of their packaging). 5. And then there is Morgan, the person behind this. I’ve corresponded many times with him throughout the months I’ve been a customer. When I email CS, he’s the one who has always answered. He’s been incredibly responsive. And @Lacey, it was interesting to hear you comment on how you appreciated the shampoo and conditioner bottles having different tops, because otherwise they are hard to tell apart. When I first subbed to Morgan’s, they were identical, and that is some of the feedback I offered. No doubt others commented to, and now that problem has been resolved. It’s reassuring that Morgan’s listens to its customers! 6. Lastly, the price. I don’t know how they do it! I’m single, and the subscription is economically worthwhile even for me. I signed up initially through the offer appearing again now – one month free trial. Given how picky I am, I assumed I would probably cancel before the trial ended. But once I got my products, I couldn’t subscribe fast enough. In sum – PG offers outstanding, eco-friendly products, in tastefully designed containers, sold at an unbelievable price, and delivered to your house as you need them, and they provide great customer service. What more could you want? If you are at all on the fence, I definitely recommended you try this. You won’t be disappointed! Thank you so much for such a thorough review. Because if this review, they’ve got a new customer. I appreciate the detail you out into it, it answered more then the questions I had, which is great! Thank you do much for the additional info!